An impacted tooth is one that fails to emerge within an expected developmental timeframe. 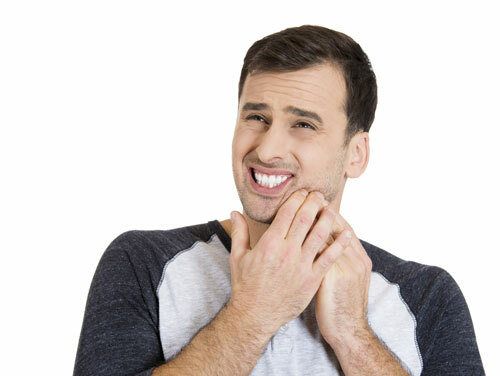 Tooth impaction is a fairly common occurrence, and while sometimes it doesn't cause any issues, it can have an effect on your dental health and may require treatment. There are several issues that can cause an impacted tooth. First, the tooth attempting to erupt may be colliding into a nearby tooth. The tooth could be growing sideways. It may be blocked by bone or gum tissue. Or, it could be that your mouth doesn't have sufficient space for the tooth to grow. While impaction can happen to any tooth, wisdom teeth are most often the teeth that are affected. Also known as the third molars, wisdom teeth are the last to come in, often erupting in your late teens. Because these teeth are the last to emerge, there is often not enough space to accommodate them. Because of this, they often run into other teeth. An impacted tooth can cause a number of health problems. If the tooth is colliding with a nearby tooth, the rest of your teeth may be displaced. If it is partially emerged, you could face tooth decay. You may also suffer a gum infection, as bacteria feeds on food particles trapped near the gum surrounding the exposed part of the tooth. There is also a chance you may suffer no issues at all. • Pain. This if often due to the affected tooth running into another. You may also experience pain in the back of the jaw or when you chew on the side of the mouth where the impacted tooth lies. • Infection, which can be caused by tooth decay of the exposed part of the tooth or from bacteria along the gum line. • Swelling and redness, also known as pericoronitis. • Bad breath and an unpleasant taste. It is also possible to experience no symptoms. A dental exam and X-rays are needed for a true diagnosis.An impacted tooth often needs removal, which requires oral surgery. If you suspect you have an impacted tooth, contact our office right away.